The Garden Care nursery has employed a team of horticulture experts, who have rich expertise and vast knowledge in it. Being in the same vicinity for ovrt 15 years, it’s safe to say that they know how to do their job and do it pretty well! 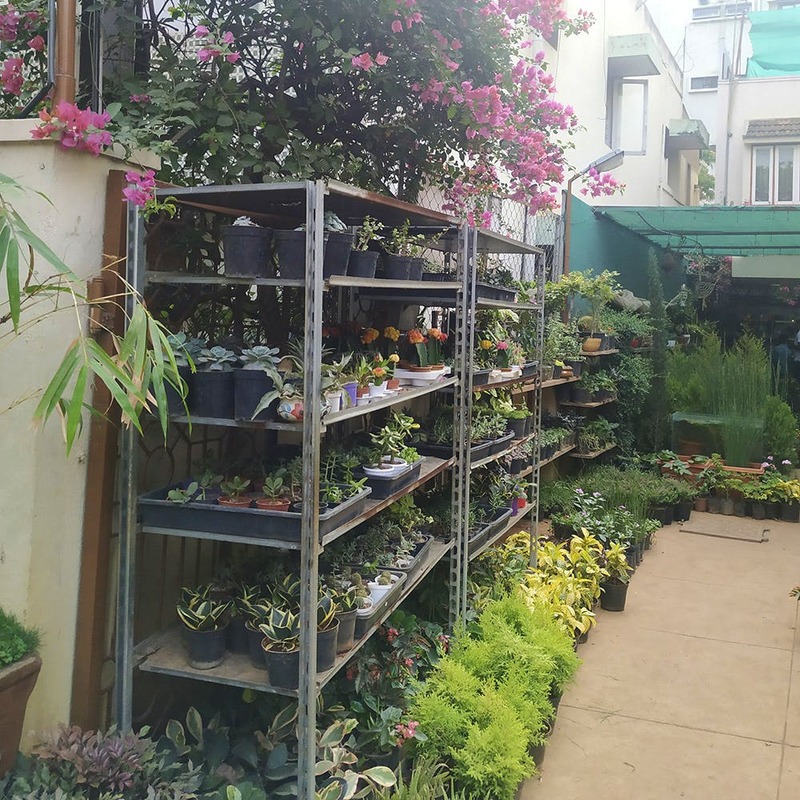 Since Garden Care is mainly a nursery, they sell seasonal plants, flowering and water plants, for which they sell organic manures and fertilisers as well. The few plants that we really liked were the Bonsai (which are miniature trees that you could grow in just a pot!) and the vegetable garden which are organic seeds you could use to grow a kitchen garden. As part of their landscaping, they will maintain your garden. They help to set up and create the garden area in your house or terrace and will come to the rescue regularly to make sure that your plants and greens are happy. Be sure to check out their garden concepts like a butterfly garden, cactus and rock garden to understand the variety that’s available. We recommend the vertical garden for flats and small houses since it only takes up the space on your walls. Being innovative and apartment friendly, it’s no wonder that this nursery has so many loyal customers. The nursery also sells adorable looking ceramic pots and plant holders you could hang off your balcony railing, apart from the other plant and home decor they sell.